The days have been so warm lately that I almost believe spring is on its way. But then, I remember that it's still February, and this is Colorado, and there is still plenty of winter to come. I have a feeling that March will make up for the lack of February snow. Still, though, I'll enjoy these 55-degree days while they last, in spite of the cold mornings that have me reaching for my coat when I head to work. A pretty, pink glazed cake seemed fitting for the lovely weather, so I experimented with a recipe for lemon poppy seed pound cake that I had been working on for a while. 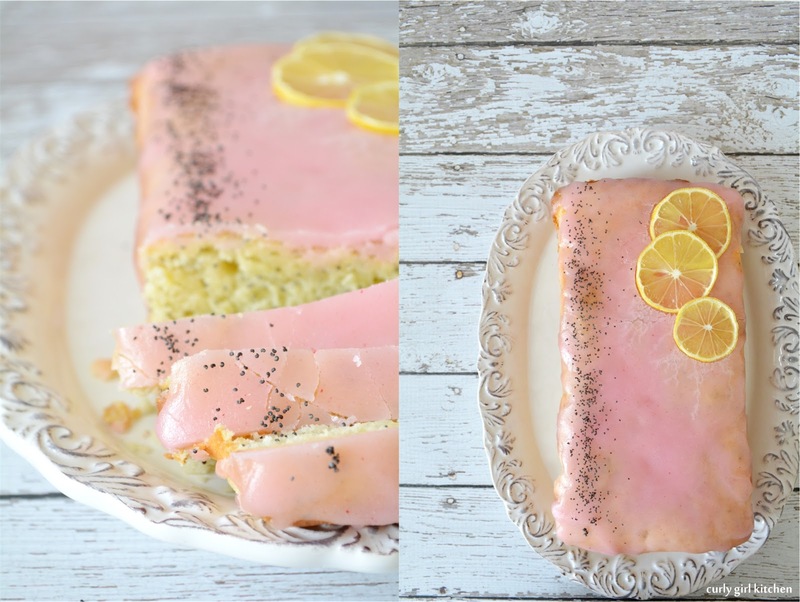 The cake is moist, buttery and dense, generously drizzled with a sweet grapefruit glaze, and too pretty for words. 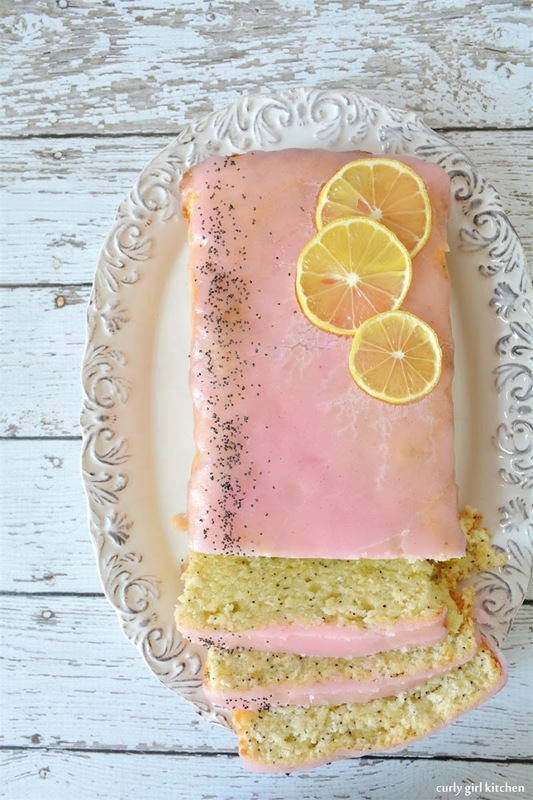 Topped with translucent slices of lemon and a scattering of poppy seeds, this cake is counting down the days until spring comes, too. Preheat the oven to 350. Grease two loaf pans and line with parchment paper so it hangs over the edges. In the bowl of your stand mixer fitted with the paddle attachment, beat the butter and sugar for several minutes. Beat in the eggs, one at a time, then the lemon zest. 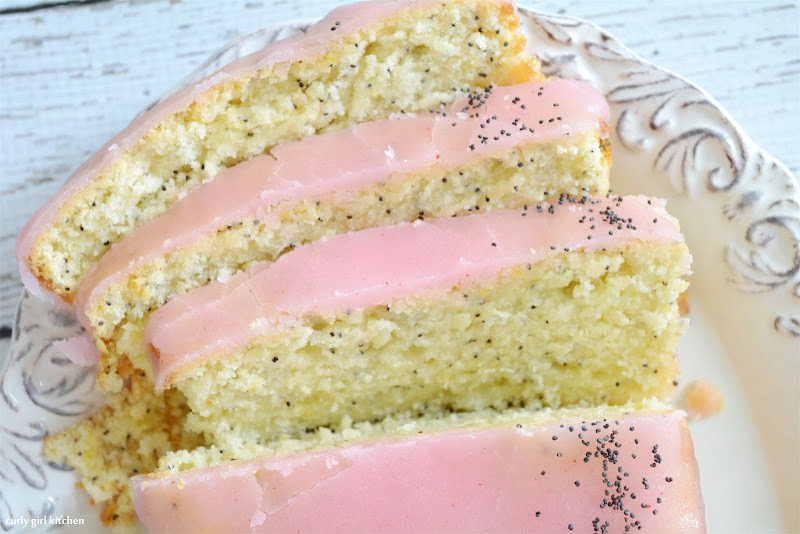 In a separate bowl, combine the flour, baking powder, salt and poppy seeds. In another bowl, combine the milk, lemon juice and sour cream. Add the dry ingredients in three additions, alternating with the wet, starting and ending with the dry; mix just until combined. Divide the batter between the pans. Bake for about 50-60 minutes, until a knife inserted in the center comes out clean, or with moist crumbs clinging to it. Let cool in the pans for about 20 minutes, then remove and set on a cooling rack set over a baking sheet. For the glaze, squeeze the juice through a fine mesh strainer into a saucepan. Add the granulated sugar and corn syrup. Bring to a simmer, whisking to dissolve the sugar. Whisk in the powdered sugar and bring to a simmer again; whisk vigorously to smooth out any lumps. Immediately pour the hot glaze over the cake. 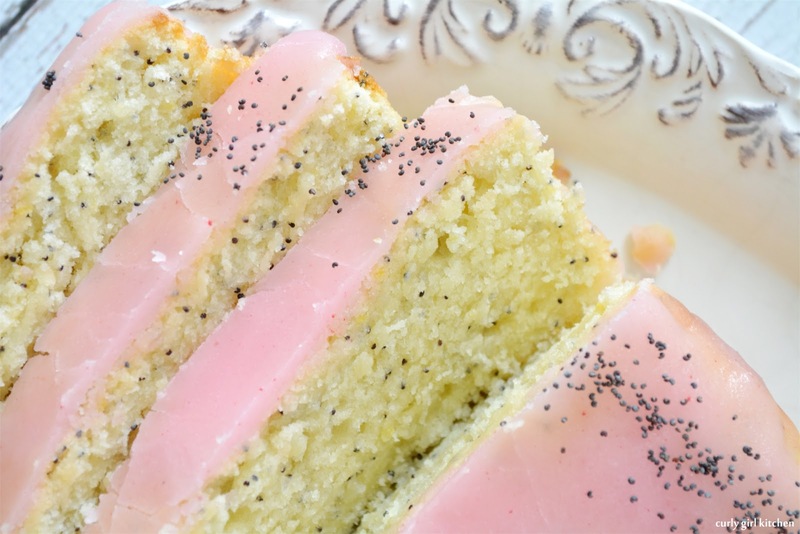 Garnish with thin lemon slices and poppy seeds. 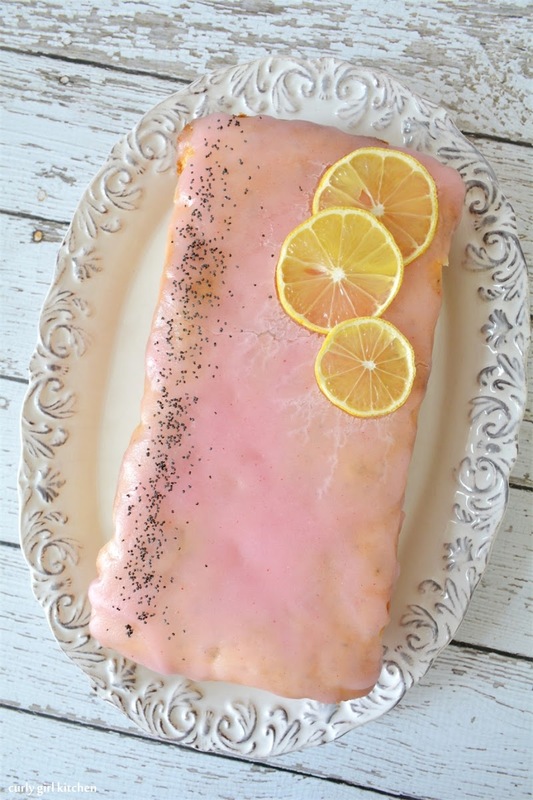 The glaze will set within a few minutes, but allow the cake to cool for about an hour before slicing. That looks so amazingly good.